Today, 07 May 2015, we travel by bus from Quito to Coca. 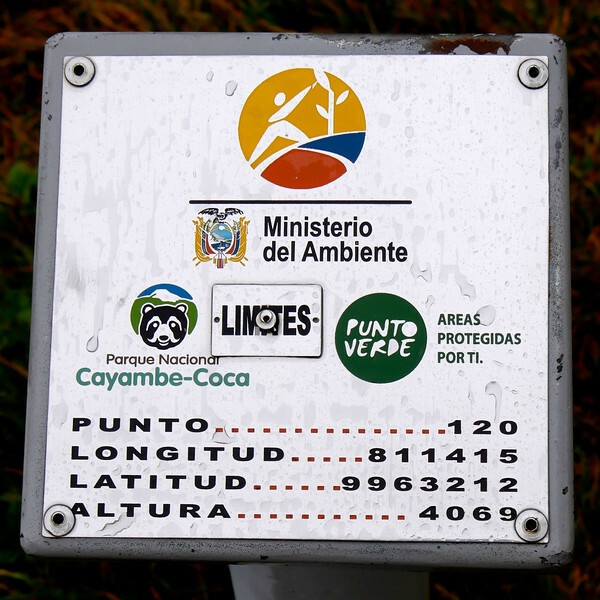 The sign says: Ministry of Environment, Cayambe-Coca National Park, Green Point, Areas protected by you. Point 120, the Latitude and Longitude, and the Altitude in meters (13,349 feet).